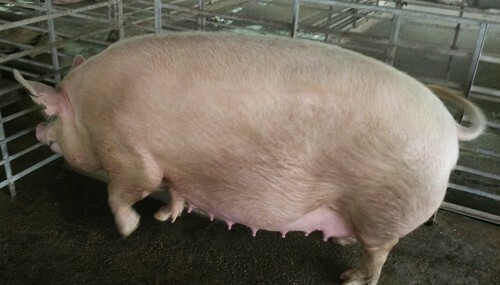 what pregnant animals needs are different from non pregnant animals in that case pregnant animals need much care than than male ones or non pregnant animals. By doing so it will help you to carry out the task in the pregnant ones. that woman are handling with care so am telling you now that female animals are handling with care. should be done properly in order to boost the production and release multiply the ova or the egg. around breeding time. Its objective is to boost ovulation, conception and embryo implantation rate. Flushing may also increase the proportion of female that exhibit estrous. and kidding rate is one of the primary factors influencing its economic viability. Now: when your animal is confirmed pregnant there are some things you need to do this including allowing the animal to graze on the filed or pasture that act will help her to be fit and not to gain too much weight and fat. And some other bad conditions your animal needs feed when pregnant. And so many other effect that is not write here. Note: Don’t deworm your pregnancy animal if you don’t have the knowledge consult a vet. Make sure the pen where your pregnancy animal stay is clean and dry to avoid disease. As a farmer you need to be around of your flock till the delivery day. Provide a enough water for the animal and make sure the water is clean. Have a personal vet for your pregnant animal for best result.